SACMS was extremely fortunate to have Red Priest perform two outreach events on Monday following their performance on our series on Sunday March 4 at Temple Beth-El. The events took place at The Montessori School of San Antonio and at UTSA. 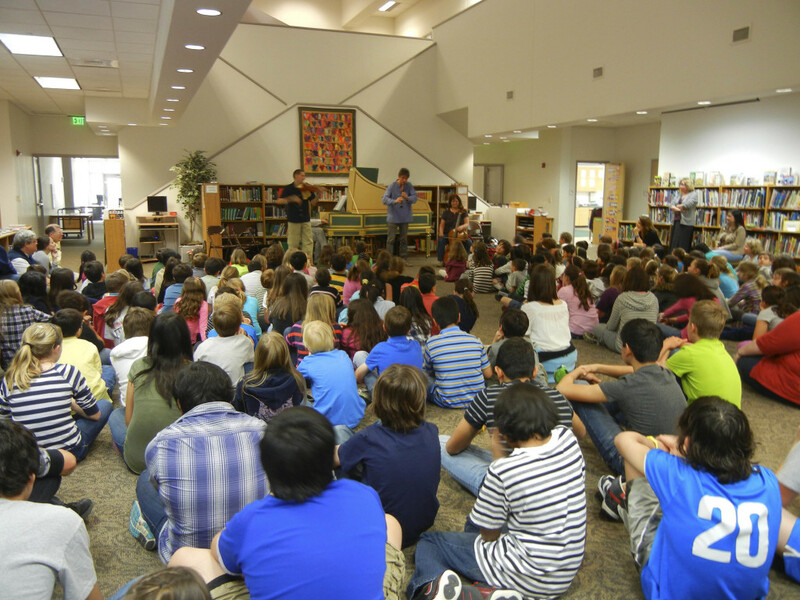 The audience of 200 students at the Montessori school ranged in age from 6-14. 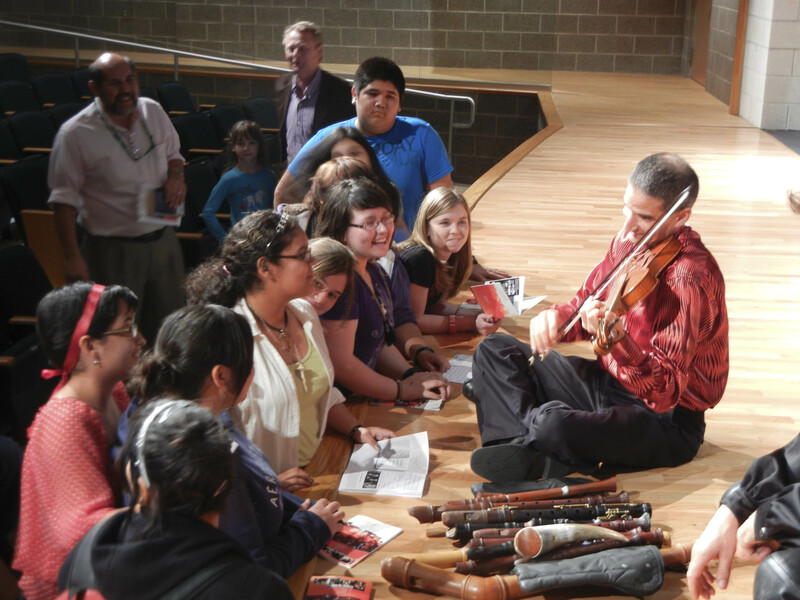 The audience at UTSA was made up of orchestra students and faculty members. It was fascinating to observe how well the Red Priest musicians interacted with the various ages of students. At the Montessori school violinist David Greenberg ducked behind the harpsichord where he secretly donned a red feathered mask, and then he jumped out with a yell and proceeded to prance around while playing a Vivaldi melody. Piers Adams, recorder player, and David demonstrated a baroque canon, which is like a round, by following each other while playing and winding up and down the aisles of children. At UTSA Red Priest set up on the recital hall stage. Students helped set up chairs for the audience to sit on stage so that the event could be intimate. I felt as though I was sitting in a music history class with the most fascinating and inspiring professor imaginable. The group began by explaining the origin of the word baroque, which means rough, as in rough like a pearl. Each musician spoke at some point, and they all told anecdotes about various baroque composers behaving in a rough and experimental manner. The explanations illuminated the character of the group’s wild and crazy performance style. At the UTSA event I found myself wishing Red Priest would go on for hours. Both outreach concerts were of an unusually high standard. They were stimulating both in the sharing of the joy of making music, and in the motivating of learning about a specific era of “classical” music.